All Summer long I have gravitated towards Hot Pink and Peach Lipstick. Now that Fall is 'round the bend, I'll be reaching for Red and Wine lipsticks instead. 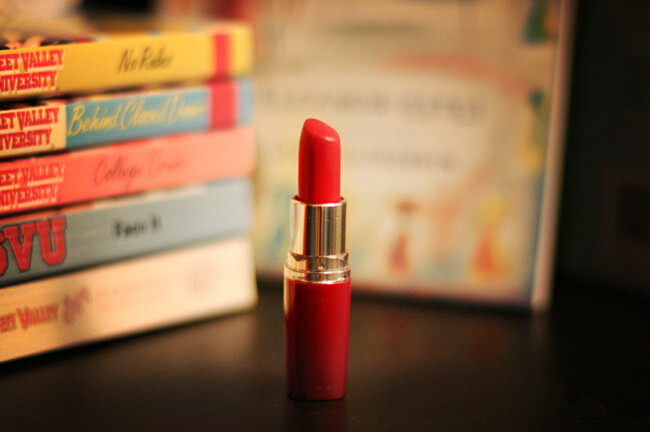 To be quite honest, it was seeing Miranda Kerr tooling around Paris in red lips that inspired me to rotate my colors. And what better color to embrace than Red, as the leaves start to change and the atmosphere cools down? Now, if only I could get my hands on the perfect black leather shorts too?